Congratulations to the 2015 Naviance Summer Institute Award Winners! On the final day of Naviance Summer Institute 2015, Hobsons was pleased to recognize leaders from Cincinnati Public Schools, Charleston County School District, and Adams 12 Five Star Schools, as the 2015 Naviance Summer Institute Award winners. Stephen Smith, President of Advising and Admissions at Hobsons and co-founder of Naviance, announced the award winners during the closing ceremony of the weeklong Naviance Summer Institute, held July 6-9 in Tucson, Arizona. 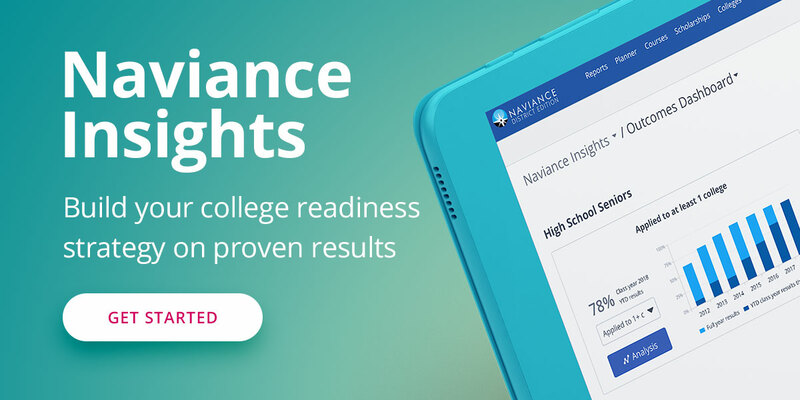 The Naviance Summer Institute Awards recognize leaders in the field of education who are using Naviance in schools, districts, and organizations to help students prepare for college and career. NSI award winners are nominated by their peers and feted during the annual Naviance Summer Institute. Congratulations, and a big thank you to all the nominees whose dedication to helping students connect learning to life and to succeed throughout their education journey is a huge inspiration to us all! Mark your calendars as plans are underway for the 2016 conference, which will be held July 19–22 at the Hyatt Regency Scottsdale Resort & Spa at Gainey Ranch in Scottsdale, Arizona. Subscribe to our newsletter so you don’t miss important NSI updates!